Laxmi & Khristopher’s wedding at The Palms Hotel & Spa in Miami is on the blog! I think you are going to fall in love with this bride & grooms wedding day the same way I have! There were so many tender moments sprinkled throughout Laxmi & Khristopher’s wedding day that will pull at your heart strings from every single direction! This sweet couple had two doting flower girls at their side during ceremony time, and the smiles on their faces are so unforgettable. Isn’t it amazing to see a wedding day through the eyes of a child? The flowers girls each wore a crown made of all white florals, tied at the back with a silk ribbon. For attire, the flower girls were dressed in empire waisted white dresses, accented by a wide pink ribbon with an angelic bow tied at the back. They were seriously adorable! 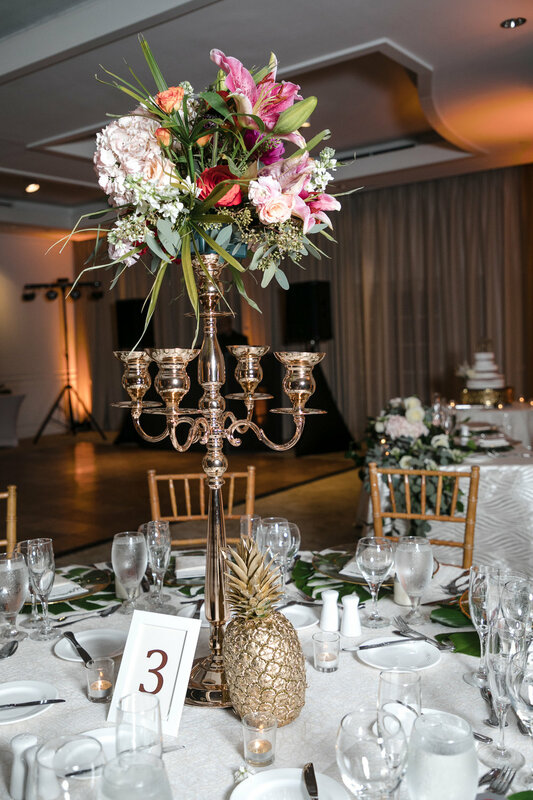 Tropical florals were the primary element of this wedding day’s design! 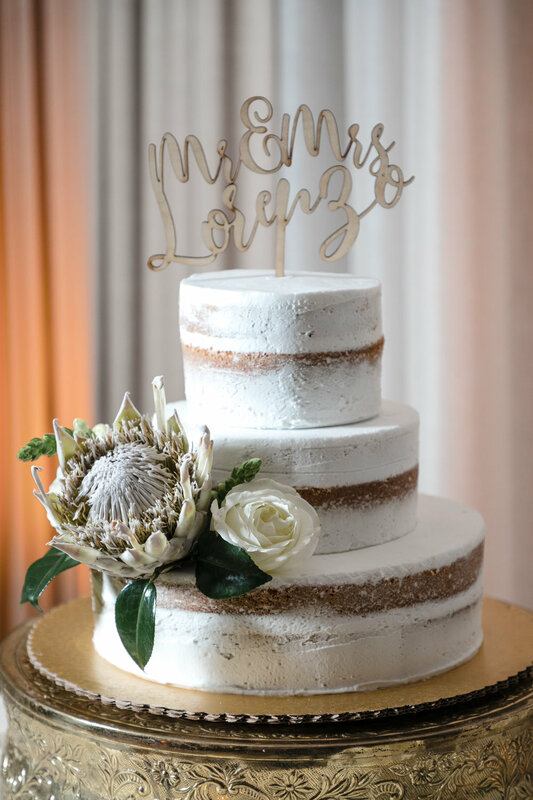 The couple drew on elements such as pops of bold colored blooms, Monstera leaves, and King Protea. Floral accents could be seen in nearly every corner of their wedding day from the guests ceremony seating, floral garland lining the gazebo (which served as the couple’s altar) and in the bridal bouquets! Reception floral decor included watercolor Monstera leaves on the couple’s dinner menu, Monstera leaves placed under the chargers of the guests tale settings, and fresh florals lining their wedding cake, the way that the floral details were included throughout the day are impeccable!! My personal favorite time spent with the couple is always when we get to take those wedding day portraits alone after the ceremony but before reception time, it always feels like nobody else in the world exists except my newlyweds! The Palms Hotel & Spa in Miami is an amazing place to hold your wedding if you are interested in having beachside wedding day photos taken! Laxmi & Khristopher held hands on the beach as they walked through the sand, and the groom even carried his brides’ bouquet while I snapped away their precious moments together! Then it was off to dance the night away at the reception! I might’ve had a slight freak out when I noticed the guest’s favors displayed all over the tables! I immediately spotted that the couple was giving away one of my local favorites, ‘Love Letters Candles’, which are hand poured soy candles that each come with a love note from the Universe. When I asked Laxmi about them, she told me that she was the maker, brainchild, and owner behind the business! See more of that exact moment here! This gorgeous bride handmade a special scent to gift her guests at her wedding day, what a beautiful way to say thank you! 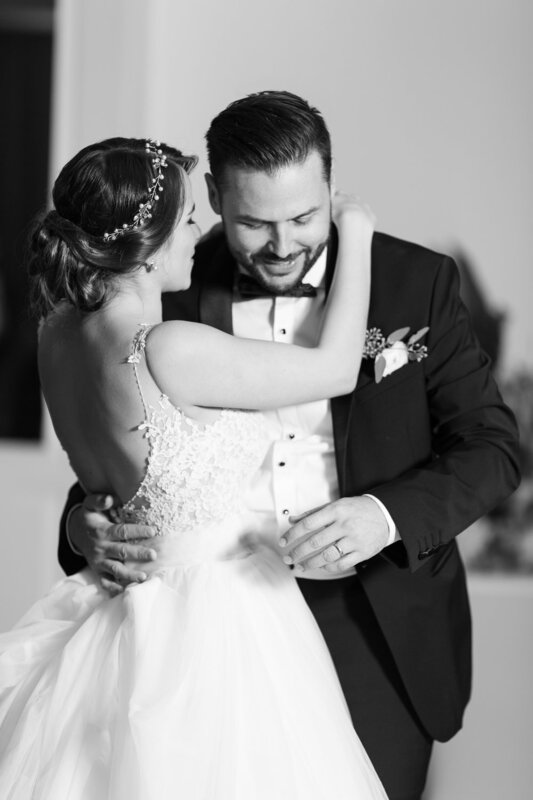 Dancing close with fingers intertwined and big beautiful wedding day smiles is exactly how my sweet bride and groom started and ended their reception. Laxmi also had a very special dance with her dad, with her wedding dress practically floating across the dance floor - you’ll get to see that plus every single amazing detail and moment below! Scroll down to see more of Laxmi & Khristopher’s wedding at The Palms Hotel & Spa in Miami! 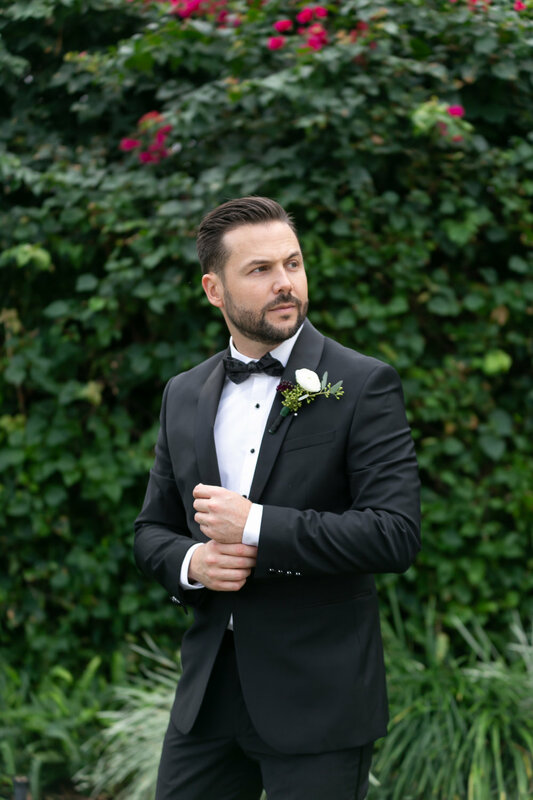 Searching for a Miami Wedding Photographer who is invested in capturing the love & joy of your wedding day? Click the >> contact button << and let’s chat!